Meanwhile in Japan.... Freaking awesome wetsuits that are literally wet suits. 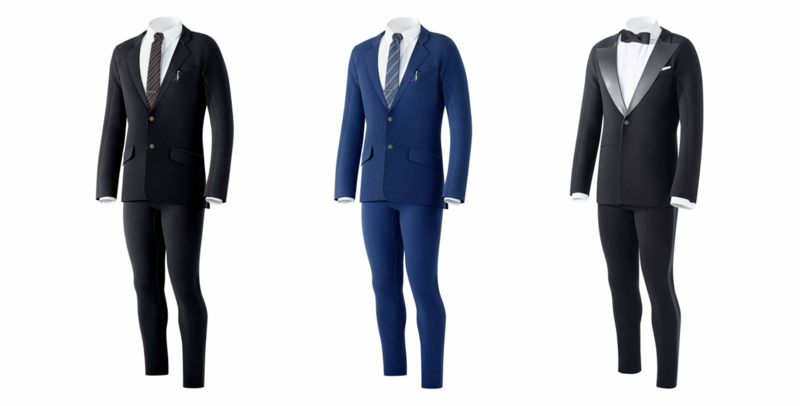 This "slim-fit" guy is made of some serious ultra-stretchy, water repelling neoprene. If you have been wanting to step your beach/ surf gear up... its time. Whats the price tag? 300,000 Yen ... You do the math. Oh and yes... its also available in a tux.